There were a few moments during my pregnancy when it really hit me that I was going to be a mom. The first time was when I felt my little babe kick. The next was when my husband and I stepped back and admired our handiwork after we finished assembling the crib. And I’ll never forget the moment that I looked in my rearview mirror and saw a car seat in the backseat for the first time. Choosing the right car seat feels like such a monumental decision for new parents, and CYBEX makes it a little bit easier with their award-winning products. This week we’re teaming up with CYBEX to give you the chance to drive baby around town safely and in style. One Project Nursery reader will win the CYBEX Aton 2 Infant Car Seat in your choice of color (a $300 value). 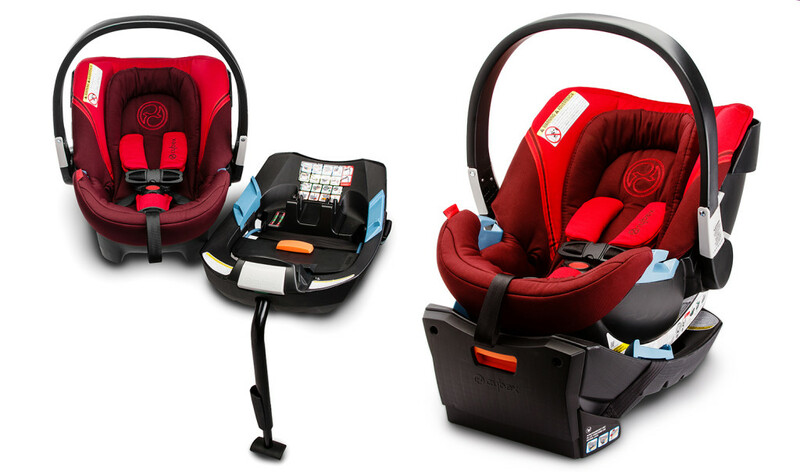 The CYBEX Aton 2 Infant Car Seat takes safety, design and functionality to a new level. Safety is the company’s top priority when it comes to car seats, and the Aton 2 has two features that set it apart. First, the Load Leg provides extra crash protection by absorbing and distributing energy to the floor of the vehicle and keeping baby perfectly positioned. The Linear Side-Impact Protection allows the shell of the car seat to absorb the force in case of a side impact collision. In addition to winning a number of “Best in Test” awards both internationally and in the US, the design of the Aton 2 is available in a range of gorgeous colors. Say goodbye to traditional black and gray and hello to lollipop, strawberry, ocean, storm cloud and charcoal! Which color would you choose? WIN IT! One Project Nursery reader will win the CYBEX Aton 2 Infant Car Seat in your choice of color (limited to US residents only, a $300 value). It’s SNOT Funny: Snot Suckers that Work! omg would so want this!!!! I’m so competitive so I hope it finally pays off! This is so awesome! I need one like this for my baby. I need to make sure that she’s comfortable and safe at the backseat.